Goold arrived in Sydney in 1841. He achieved a modest success as a painter, glazier and building contractor. By the late 1860s he owned several houses in Waterloo, Sydney, including his own residence at 29 Botany Road. Goold was commissioned as a Justice of the Peace in 1871. Although of Jewish ancestry, he was an active member of the Primitive Methodist Church and was a prominent lay preacher and a trustee of the Kent Street Chapel. He was a founder of the Loyal Orange Institution in 1845 and Grand Master of the Institution from 1870 to 1875. He joined the Protestant Political Association, formed in March 1868 and became its paid itinerant organiser in 1869. He was appointed as a magistrate 1871. Goold was elected as a member of the Legislative Assembly for Mudgee, 23 December 1874 until 28 August 1876. Goold served as the Alderman for Phillip Ward, from 1 December 1870 until his death on 28 August 1876. He became the Mayor of Sydney in 1874. 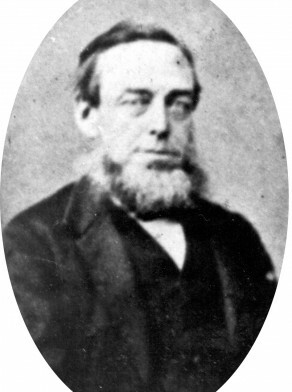 Mark Lyons, ‘Goold, Stephen Styles (1817–1876)’, Australian Dictionary of Biography, National Centre of Biography, Australian National University, http://adb.anu.edu.au/biography/goold-stephen-styles-3634/text5651, accessed 4 December 2012.